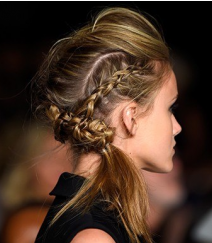 Being in LA, where a beach day is a good idea all year-round, we’re big fans of braided up-dos. Salty, wind-swept hair after a long beach day? 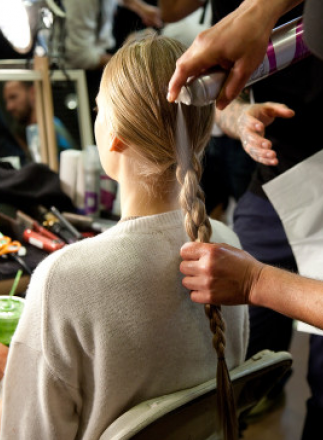 No problem; hide the mess in a messy braid and transition from day to night without breaking out your arsenal of hair products and tools. This is no secret to us Angelenos. 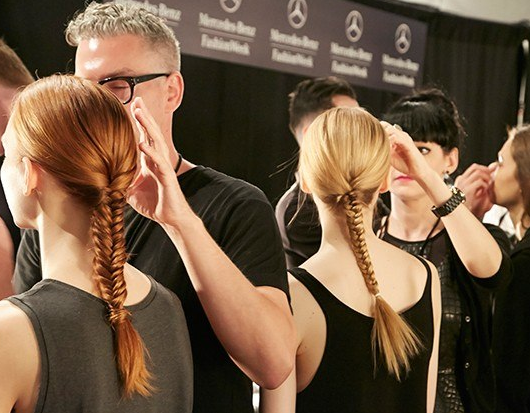 But this year, the beach babe’s go-to braided, tangled, messy updo is officially NYFW-approved! 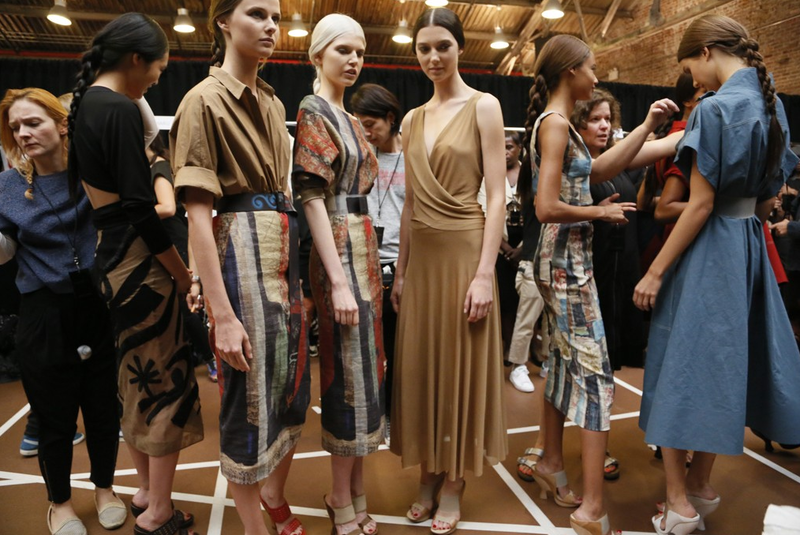 Donna Karan’s Spring/Summer 2015 beauty statement was definitely a new concept. People are calling it the ‘hair lanyard’. Hold up: does this mean we can actually use those finely-honed knotting skills we learned back in summer camp for something other than a plastic keychain? ..Yes!? We dig it. 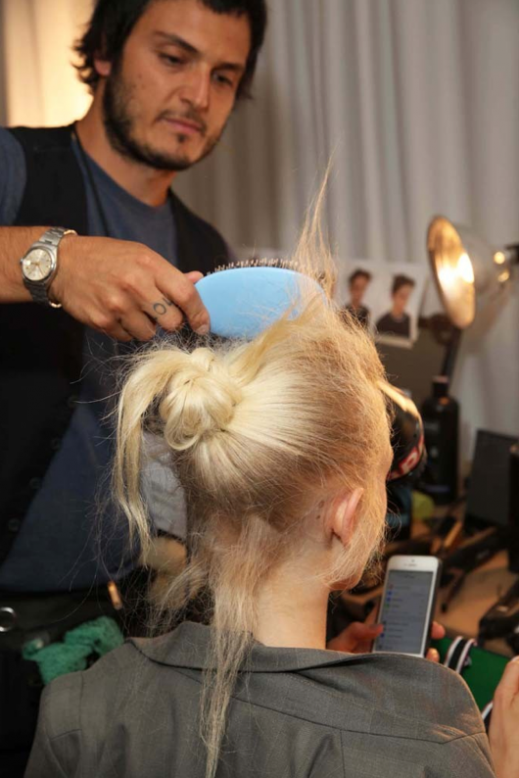 On the same day, 3.1 Philip Lim displayed his first NYFW up-do ever. 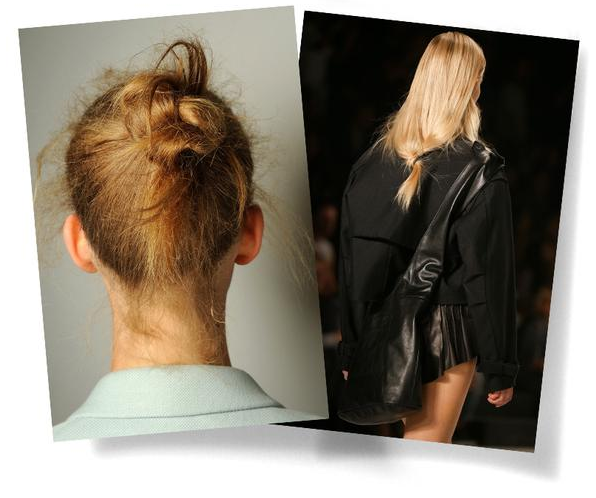 Meet: the flyaway, knotted bun. 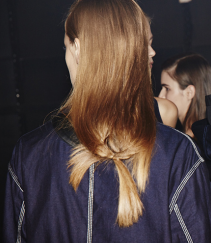 Rag & Bone, Dannijo, Tome and Marissa Webb all used messy knots and braids in their runway looks too. As did Street-Style queen Chiarra Ferragni and other Fashion Week-goers. 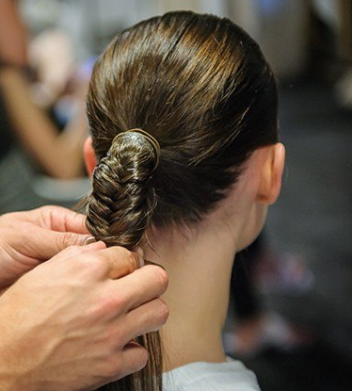 One of our favorite hair stylists, Cantrell Mitchell showed us how to get our own version of the trending messy braids and buns in just a few short steps with Maggimae using 4 standard french braids pinned together into a bun. 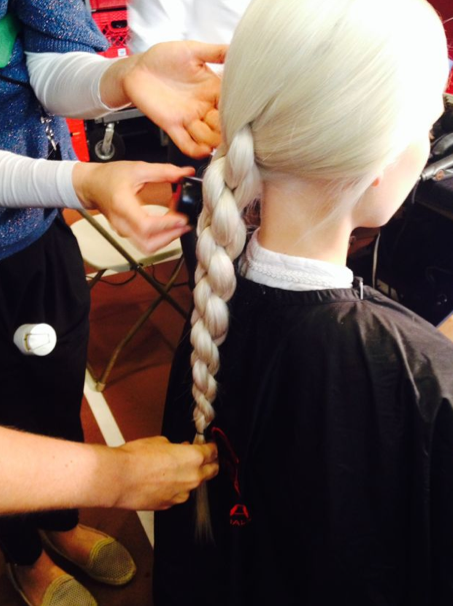 For a second braided up-do, check out Cantrell and Maggie’s first braid walkthrough here. Thanks to our friends over at Vogue, Fashionista, WWD, Lucky Magazine and Style.com for the photos and insight. Click any of the NYFW pictures to be directed to the original articles.